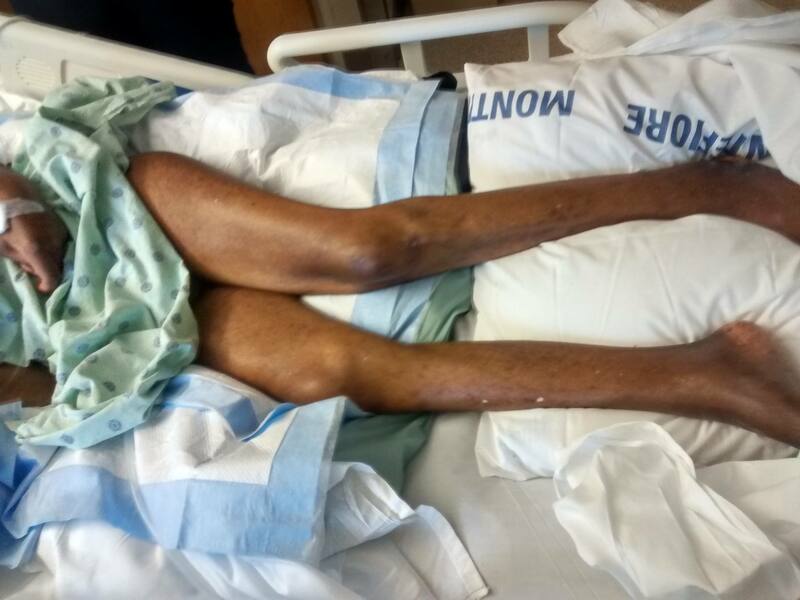 Medically Kidnapped Senior in New York Hospital "Wasting Away"
I don't understand... if you have a POA or guardianship over your grandfather, why didn't you just move him from the hospital to another one? You let this go too far without taking action. And, why were you and your mother banned? Why is this human being being held hostage in America? This hospital should lose its funding and licensing and those involved in his torture should be jailed and their licensing suspended permanently, This holding people hostage for money is torture. Please look into this and make this stop. I hope everyone is calling the state reps and asking them what is going on. Good Question. Why not ask former FL Governor Jeb Bush (currently running for President) who filed needless & frivilous complaint and protracted the litigation against the former Husband's wishes for his incapacitated Wife - Terry Schiavo (and her final wishes). Many people are waking up to the fact that the AMA is a cruel joke when compared to alternative natural healing methods. It makes perfect sense for them to not allow these sick patients to seek alternative treatment. With the up rise of people seeking alternative medicines, and losing faith in the AMA we may see more of these types of Orwellian actions from the medical establishments. "Competition is a sin". John D. Rockefeller 1901 – Rockefeller Institute for Medical Research Opens Based out of New York, this became one of the most “richly endowed” research centers. By 1928, John D. Rockefeller had given it $65 million in endowment funds. This later became Rockefeller University. The Rockefeller foundation founded AMA has been trying to replaced homeopathic, nutritional and Native American medicine etc. In the end these globalist want full control over our health, and it's about money, power, and control with these criminals. I hope, and pray that Julius Corley can be with his family that loves him.